The Mexican Fajitas, which is (pronounced fah-hee-tas) are typically made with grilled strips of chicken,steak with onions and bell peppers, and served sizzling hot with fresh tortillas, guacamole, sour cream, and salsa. 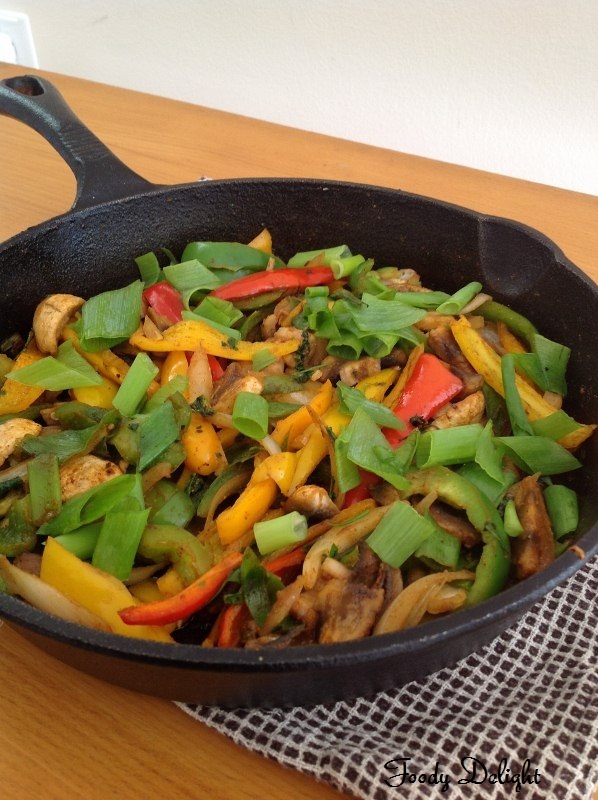 You can make fajitas with steak or chicken, or even make it plain vegetarian. 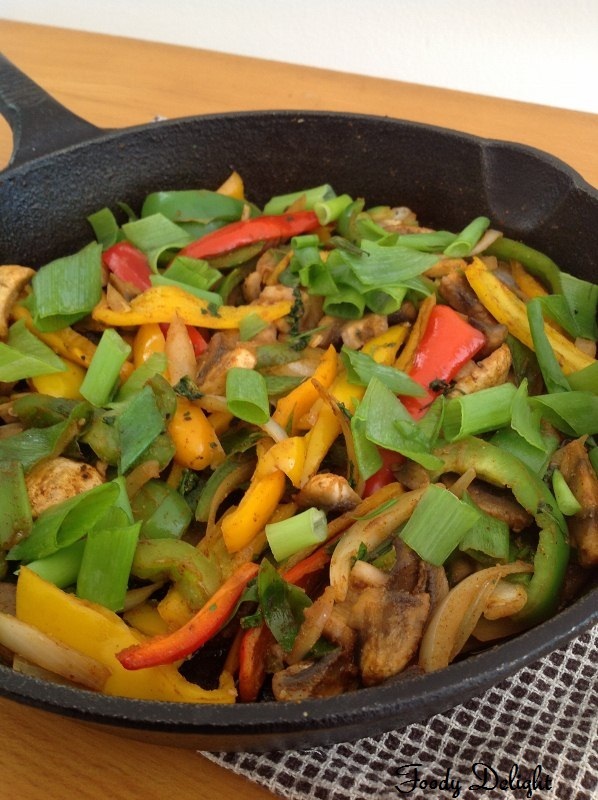 Here's a quick and easy recipe for vegetable fajitas. 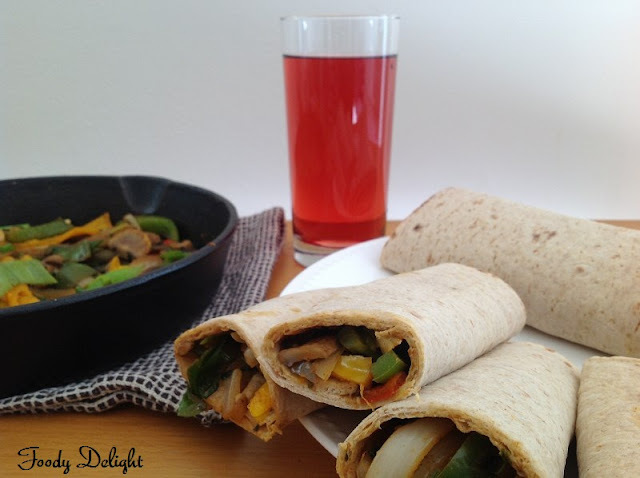 Enjoy a taste of Mexico at home with this vegetable fajita and fajita roll ups. Cut all the vegetables and place them into one big bowl. To the cut vegetables, add paprika, cumin powder, garlicpowder, fajitas seasoning mix .Mix everything well. Add the salt at the time of cooking. Place the skillet on high flame and add olive oil into it. When oil heats up, stir in the vegetables. Reduce the flame from high to medium. Add the salt to the vegetables and cook until the vegetables are crisp tender. Do not over cook the vegetables, they become soft and lose its texture.We want the vegetable to remain crunchy. Warm up the tortillas by keeping them into microwave on high for 1 minute. Spoon the vegetable fajitas mixture evenly onto tortillas. Top with the salsa, guacomole and sour cream. Roll up the tortillas tightly and cut them into two halves. If desired you can also add little cheese. 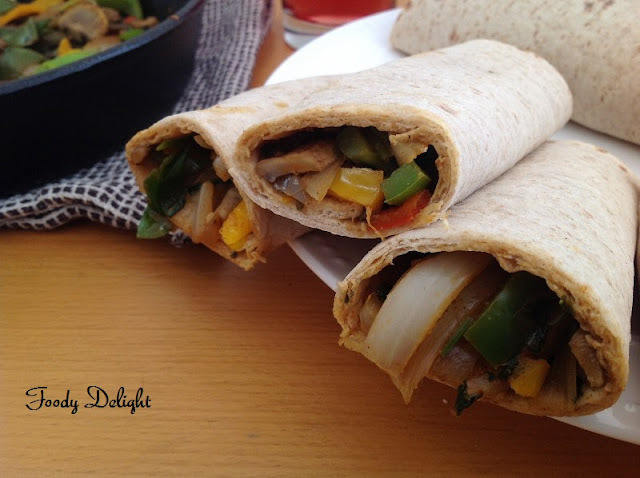 Vegetable Fajita Roll ups are ready to serve. This sounds new and interesting. I love mexican food n will try this for sure. Makes me hungry..drooling over that irresistible fajitas..
look so delicious,thanks for sharing..